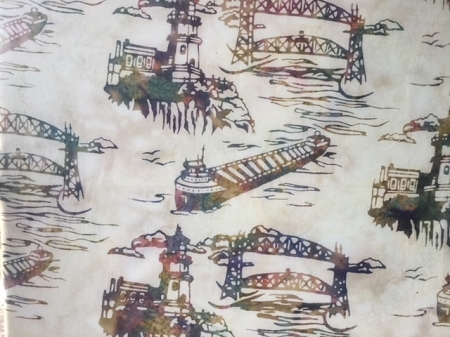 K2523 500 Gardenia Lift Bridge Split Rock Light House Custom Batik, Hoffman. 42/44" wide 100% cotton hand dyed bali batik quilt shop quality quilting fabric. Hoffman Exclusive Hingeley Road Quilting bali batik quilt fabric collection.